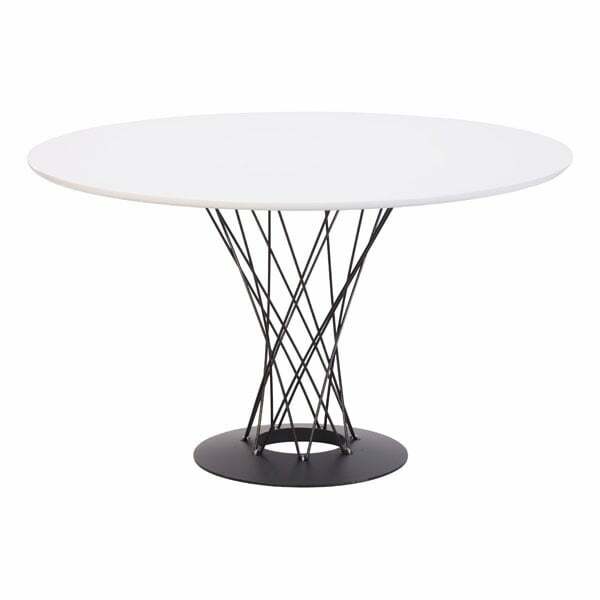 Whimsically twisting steel spokes climb to the round white top of the Spiral Table. Has a faintly fairytale quality tempered by a modern sensibility. This may well become a favorite.